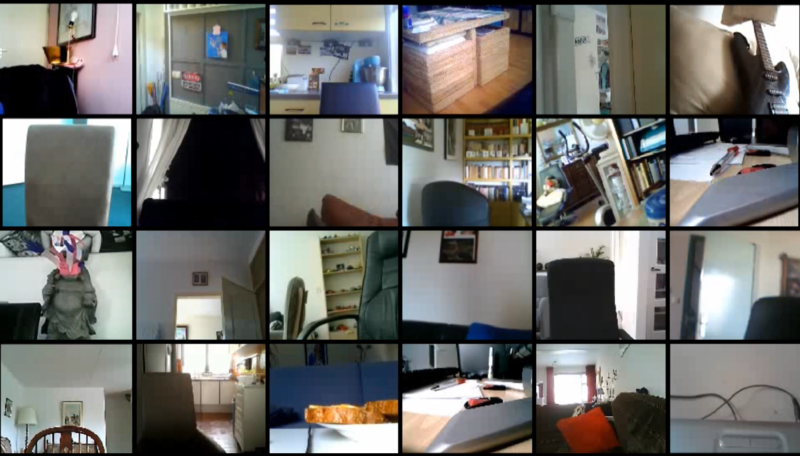 A collection of webcam streams are shown in grid view. 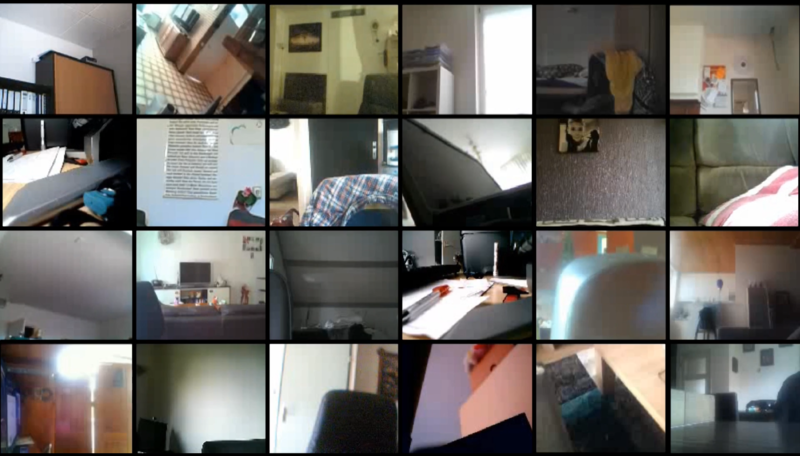 The streams are captured from different webcam chat rooms on the moment that the individual has left his or her position in front of the camera. 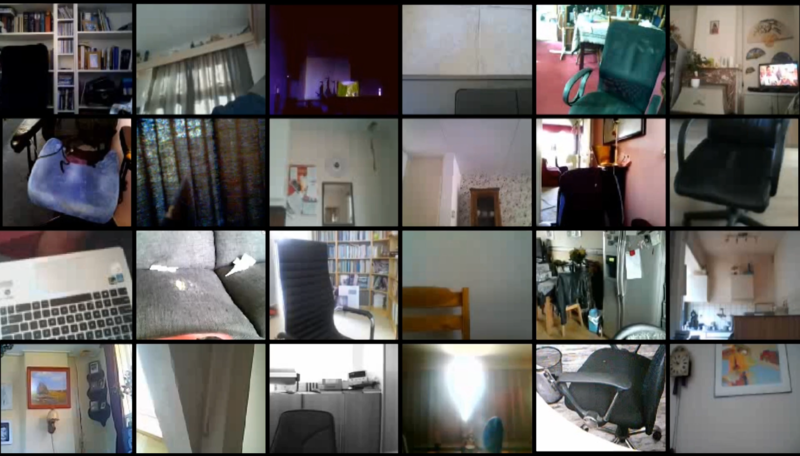 Each time 24 abandoned living / bed rooms, kitchens and /or offices are shown. 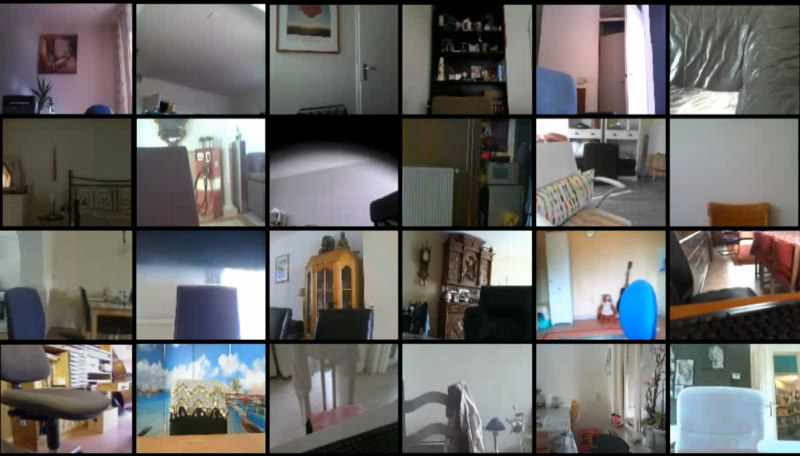 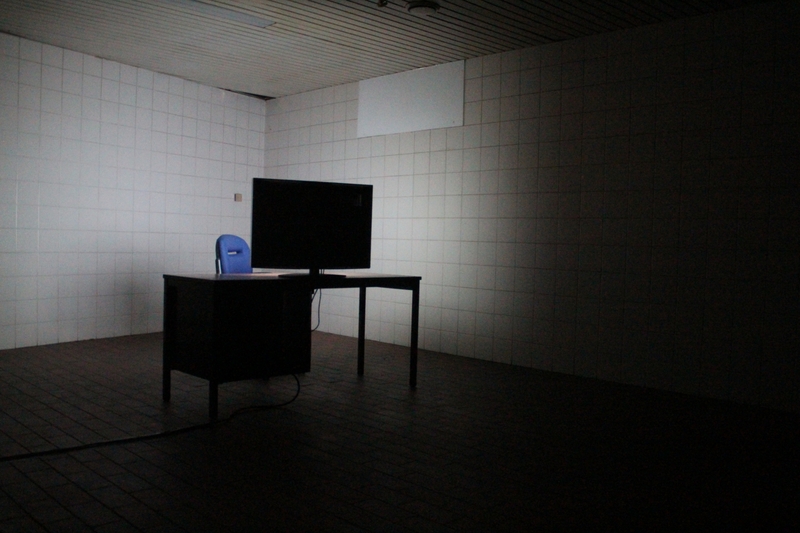 The soundtrack is compiled from the input of different microphones of the webcam streams of the individuals.